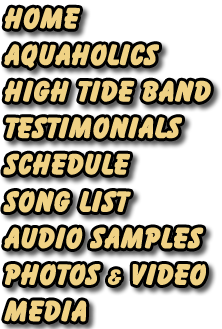 The Aquaholics band is a group of musicians dedicated to providing music that is the backdrop to the Florida and Tropical lifestyle. They blend the sounds of traditional island sounds of Jimmy Buffett, the reggae of Bob Marley, and favorite classic rock giving it an island twist. They are perfectly suited for poolsides and beaches as well as corporate and private events. They are able to provide the backdrop of sounds to relax in a hammock or get your group up to dance in a conga line. 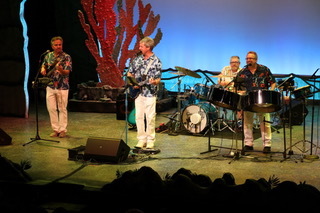 They are a four piece group consisting of guitars, bass, drums and steel pans to create authentic island sounds. They blend together with the instrumentation 3 part vocal harmonies to deliver a huge sound from a smaller group. They utilize top of the line equipment and sound reinforcement and can tailor their equipment to perform in a small club or restaurant or a large outdoor amphitheater. The musicians all perform full time as solo and duo musicians as well as a full group. 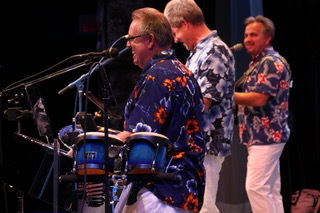 Musicians in the group have performed with members of Jimmy Buffett's Coral Reefers as well as many other national acts. In addition, they have all performed in many well known groups and venues throughout Florida and perform nationally and internationally for events and conventions. We look forward to performing at your next event. 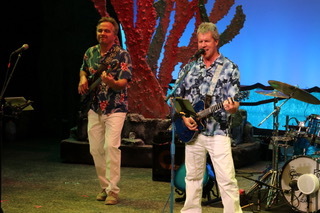 For more information on the Aquaholics Band please visit YouTube for more video. For CD ordering please visit iTunes or CD Baby. Bill’s latest CD Dog’s Life was released in October of 2015. 15. Songs are being added daily to all of your favorite trop rock stations. It can be heard on many trop rock radio stations and continues in the carefree island life where Aquaholic left off. It is available at all performances as well as CD Baby, iTunes and other popular music sites. Bill also has two new singles, Toasted Coconut Rum and Wave After Wave released in 2016, and are currently only available by download. Bill's new CD Aquaholic was released on July 15. Songs are being added daily to all of your favorite trop rock stations. CD is available at all of Bill's performances and through CD Baby, iTunes and other online music download sites. 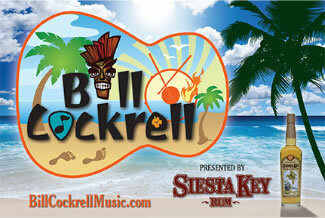 Bill is also proud to announce his latest sponsorship with Siesta Key Rum to go along with his latest single, Toasted Coconut Rum.